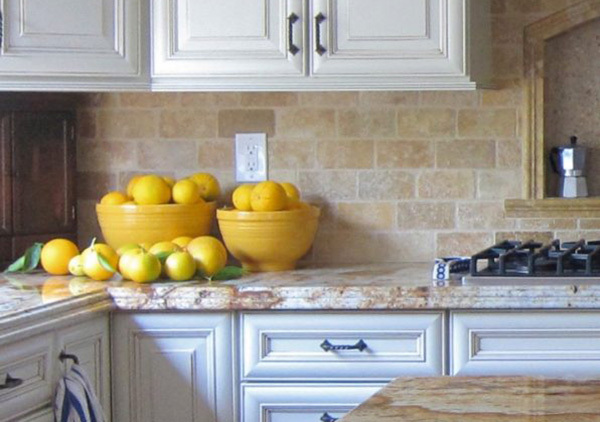 3 Ways To Warm Up Your Home This Fall. If you’re like me, you love the fall season. Crisp mornings, beautiful color, what’s not to love! Even in sunny, southern California we’ve been waking up to chilly mornings and having cool temperatures throughout the day. It’s the time of year that makes you want to wear comfy sweaters and boots and enjoy the cool outdoors. It’s also the perfect time to bring those rich colors and textures inside to warm up your home while the outdoor temperatures drop. Three easy ways to warm up your home. #1. 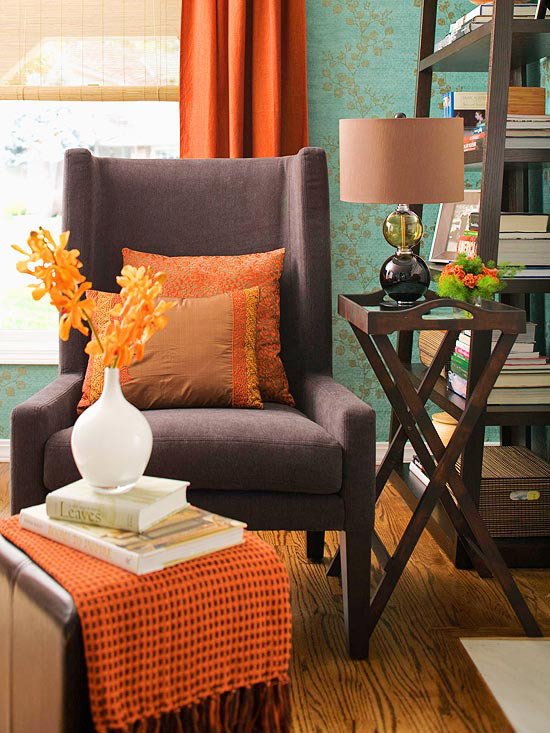 Bring in the color: Think deep russets, mellow oranges, soft yellows and rich browns. Get your inspiration from nature. 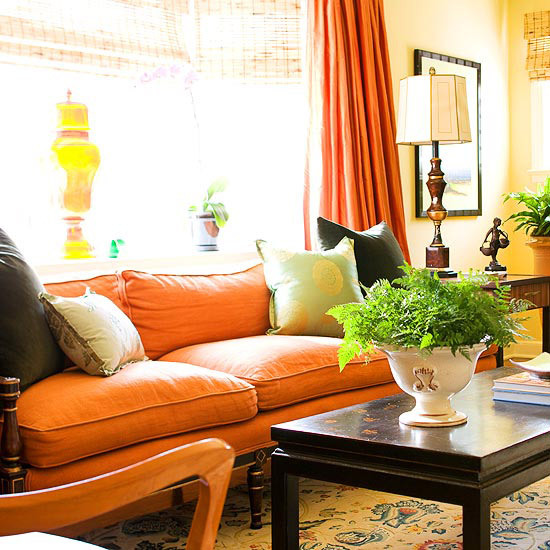 Furnishings in orange hues can create a, cozy atmosphere year round. 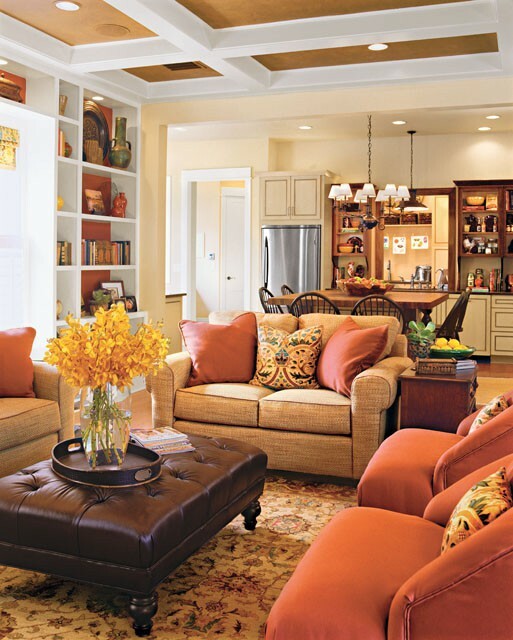 Color accents on the back of book shelves or ceilings also add a cozy feel. #2. 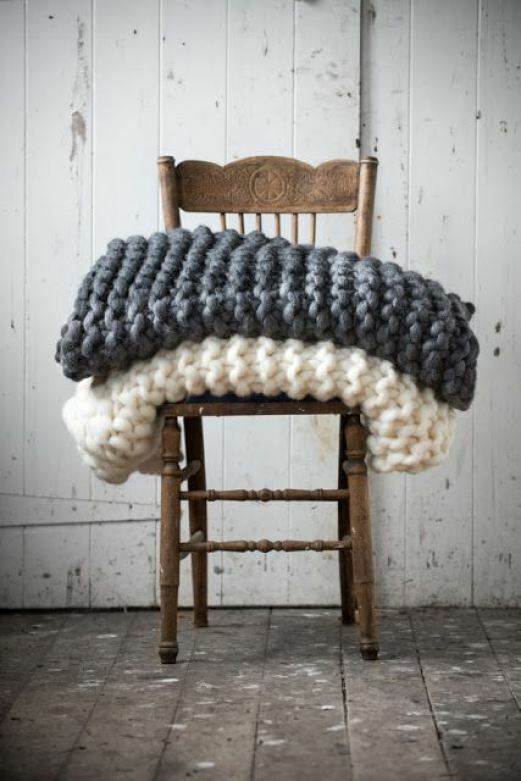 Add in the texture with throw blankets and pillows: Soft nubby knits or faux furs make the best warm and cozy additions. 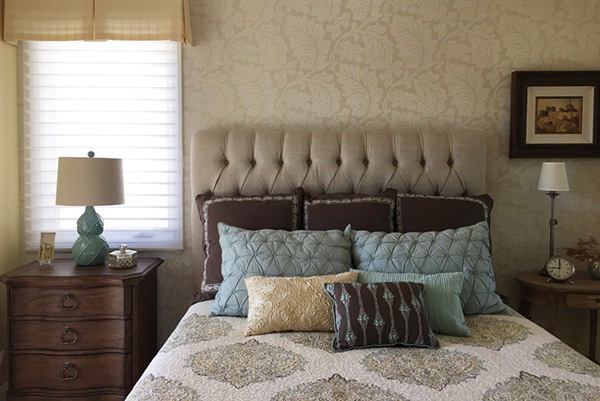 Create a warm, cozy corner with layered pillows and throws. Texture, texture, texture! Add a nubby blanket like this to your collection. 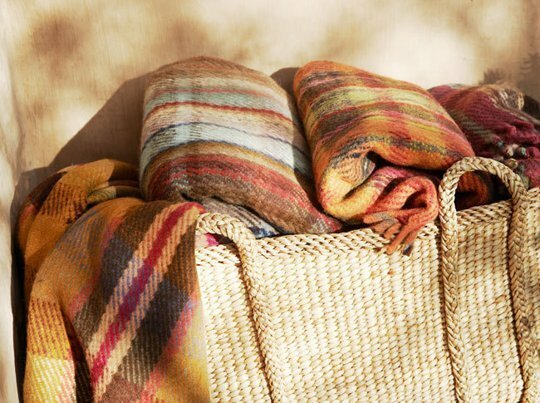 Adding a basket of blankets is a great way to add color and texture to any space. #3. Light a fire: Nothing is cozier than a warm fire in a fireplace on a chilly day or lit groupings of wonderfully scented candles. Create cozy spaces in your home. Who wouldn’t want to curl up here? This trio of pumpkin spice candles makes the whole house smell great. 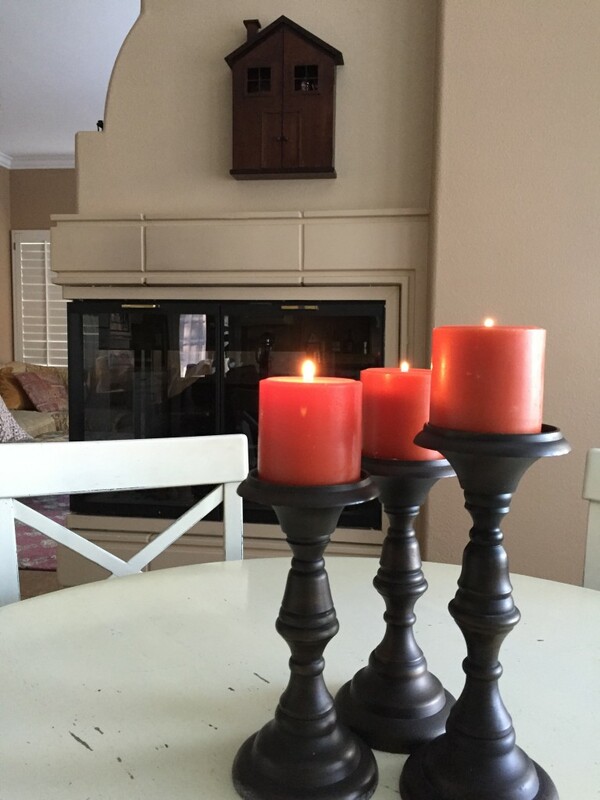 Even in Southern California, the change of seasons provides new opportunities to change up your decor. I find that nature is always the best inspiration. 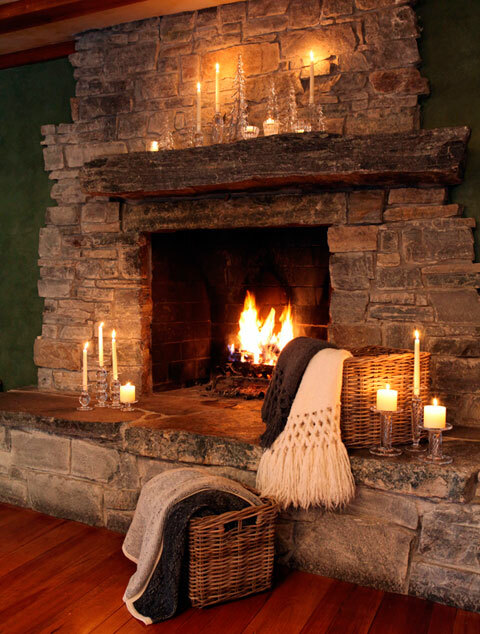 Let’s discuss how to bring more warmth and coziness into your home. Alicia Paley Home Interiors ©2015. All photos credited. You’re an Interior Designer? How fun! Such beautiful colors! I wish autumn would come to south Louisiana! I so enjoyed your blog post. Autumn colors are my favorite! Color is a great way to add a little fall here in Florida. I like to layer in some orange accents. 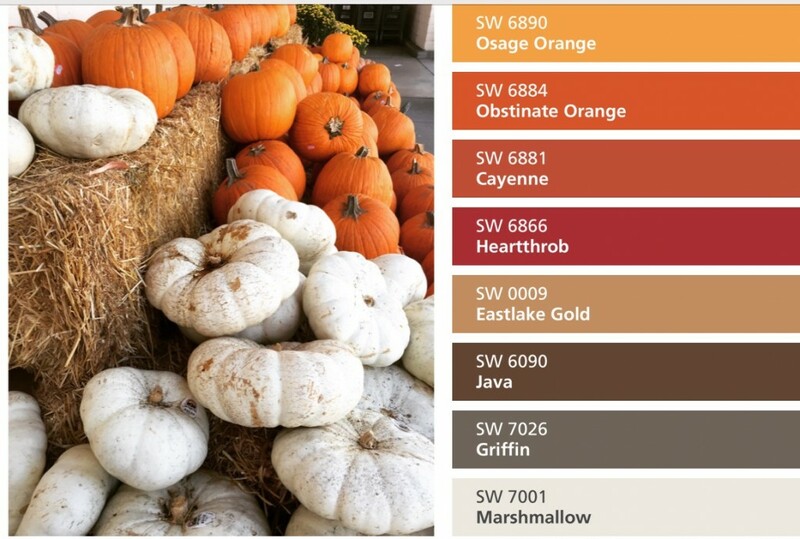 Love all the pumpkin tones. Beautiful! My favourite time of year and colour palette! Beautifully presented! These colors are very warming! What great examples and tips! Wonderful advice! I never get to decorate the house for Autumn but I think I will now, after reading this wonderful post! 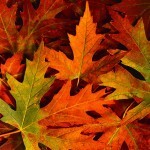 beautiful colors and photos, love this fall inspiration!